We are delighted to say that our school uniform can now be purchased online. Please use the links below for all your orders which are delivered to your home free of charge! A local school uniform provider that is run by Walker Parents. 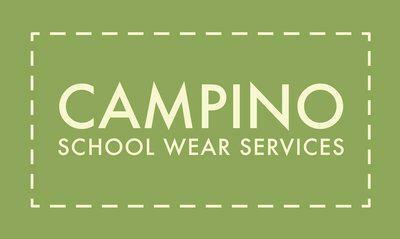 In addition to all the school uniform, Campino also offers the embroidered name service and uniform starter sets. Walker school is also supported with fundraising from uniform sales! With every Walker uniform item you buy £1 is donated to Friends of Walker. At Walker we are proud of our school and the children are proud to wear its uniform. Wearing the uniform gives us a sense of identity and belonging and it reminds us that at Walker we have a strong sense of community and cohesion and high standards of behaviour, effort and achievement. Having chosen to send your child to a uniform wearing school, we expect parents to support us by providing the correct uniform for your child to wear which will help them to discover that sense of belonging for themselves. All items of uniform must be labeled with the child’s name - labels are available on the website. Jewellery should not be worn in school with the exception of studs for pierced ears. All watches and jewellery must be removed during PE lessons (with the exception of studs) for safety reasons. Long hair should be tied back if over collar length (boys and girls) and shaved patterns in hair are not acceptable. The school does not permit children to have patterns cut into their hair as these could serve as a distraction to other children and are considered by the governing body to be unsuitable for school. The school does not permit unnatural colourings in the children's hair for similar reasons. Hair adornments such as slides or headbands must be neat, unobtrusive in colour and size, and serve a practical purpose rather than just being fashion accessories. The Friends Association hold regular sales of second-hand uniform at school; please contact the school for details.